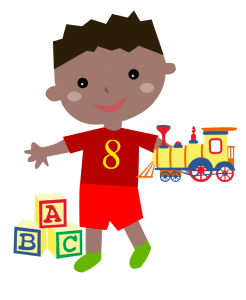 Registration for Playgroup 2019 intake is NOW OPEN! 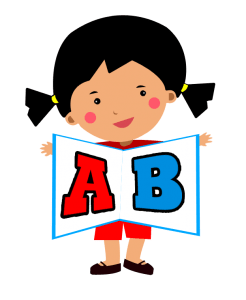 2019 Intake – For children born in 2016 / 2017. 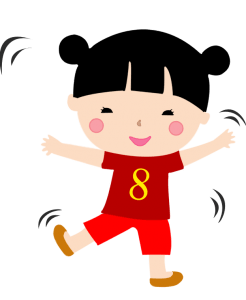 2018 Intake – For children born in 2015 / 2016. Child must be at least 18 months old at the point of entry. Secure a place for your child today! Limited vacancies. Call 8138 3440 (9am to 5pm). Star Tots Playgroup is for children aged 18 months old to the year that they turn 3 years old. Our playgroup program operates on a daily basis where children come together in an air-conditioned, clean, relaxed and friendly environment to socialize and have fun. Playgroup class experience helps every child to gain an appreciation of what school is like and to have a positive attitude towards school. Letterland a creative, fun and successful phonics based system from UK over 45 years, to teach letter recognition and letter sounds. Logical-Mathematical Intelligence: The ability to use numbers effectively and to reason well with logic. Bodily-Kinaesthetic Intelligence: The ability to use one’s whole body to skilfully express ideas and feelings and facility in using one’s hands to produce or transform things. Musical Intelligence: The capacity to perceive, discriminate, transform and express musical forms. Naturalist Intelligence: The ability to discriminate and see connections or patterns among living things as well as sensitivity to other features of the natural world. Interpersonal Intelligence: The ability to perceive and make distinctions in the moods, intentions, motivations and feelings of other people to relate and interact with people effectively. The ability to process information both verbally and non-verbally and through interpretations of all forms of dance, hand gestures, body movements and music. Intrapersonal Intelligence: The ability to act adaptively on the basis of the knowledge of one’s moods and motivations. 7 to 16 students per class with 1 caring, qualified and experienced teacher who possessed recognized Certificate in Early Childhood Education and 1 teacher assistant (caregiver). Our playgroup curriculum specialist holds a Master’s Degree in Early Childhood Education. 15 min: Circle Time & Attendance. Who will be able to join? The playgroup is suitable for toddlers aged 18 months old to the year that they turn 3 years old. I wanted to go back to work and enrol my child at childcare. My friend told me that her child cried badly for weeks when she started at childcare centre due to the long hours. She advised me to start my child at a school with short hours daily so that when my child starts to attend long hours at childcare, he can adapt faster as he will learn to trust that I will fetch him home after school. This gives my child time to learn to be confident and independent before he goes to childcare. After my child has learnt to be independent at Star Tots Playgroup, he has an easier transition when I enrol him at childcare. Going to Star Tots is the first time Wei Jie experience being away from me. I was worried about him but I have to say that you have a way with children and all of them adapted to their new environment in just 2-3 weeks. It is lovely to see them being independent and excited to go playgroup. I want to express my sincere gratitude for the wonderful care and learning that you and school had provided Wei Jie. Wei Jie achieved many things I didn’t know is possible in just a few weeks. He could say 1 to 10 in the correct order. He started to recognize shapes. He is able to identify a few shapes successfully. He has some ides of colours. He became more independent and looks forward to class daily. I felt immensely proud of him but I know it is not possible without a skilful teacher. It is lovely to see him being happy and positive on learning. I really appreciate your dedication and love and the extra effort for the children. I highly recommend any child to attend Star Tots Playgroup. It is fun and educational. After the first three days, parents are not allowed to accompany their children in class. I nearly wanted to give up as Hannah cries every day. She will stop crying if I bring her out of the classroom and to the playground. Then I realize that my child will not learn to be independent if I always bring her out of the classroom whenever she cries. With the encouragement and assurance from the teachers, I tell myself that I must trust the teachers and I persist on by leaving my crying child with the teachers. Before I leave, I always tell Hannah happily that I will fetch her later after her class. Finally, she has learnt to be independent and stopped crying. Every morning, she will tell me to hurry up to bring her to school. Thank you for all the patience, attention, love & understanding that you have all shown. We have seen him grow and learn so much from attending the playgroup. Especially this year, his enthusiasm to attend school has been such a good experience for us and he has learnt to be independent. We love the activity books & the useful termly progress report. We found Star Tots Playgroup most perfect for our needs: It was only a 2 -hour programme, where kids could play and learn at the same time. As I am a stay at home mother, I prefer to take care of my child’s basic needs myself, giving my son one to one attention from bathing to feeding to learning. But he looks bored at home as he faces only me every day. As such, I enrolled him at Star Tots Playgroup. Besides the academic learning, he is very happy and eager to go to school every day because he has friends to play with. We will always be grateful for the school’s nurturing environment and excellent education standards. Wonderful and great teachers, I’m surprised that on the second day of school my son Jasper Wong did not cry at all. He enjoys going to school every day and I can see a lot of improvement in him. She really likes the school a lot even Saturday and Sunday cried want to go school every morning.. she having alot of fun in school.. you will be happy too if you hear that children like the school and enjoying themselves in the class.. I will also bring up your school’s good reputation to my friends.. I have sent both my children to Star Tots Playgroup. Initially when the class just started, my children were not responsive to the teaching. They were afraid and more often than not, looked outside the window and wanted to go home. I took the brave front of returning home immediately after sending them to class. When days passed, my children began to enjoy learning and got to know new friends. Both of them benefitted from the playgroup. They pick up learning fast. I started my child at Start Tots Playgroup so that she would get used to the routine of going to school and learn to be independent. As it is only a 2 hours class daily, the short separation let her see that I would come to fetch her home after class. After a few months, she had learnt to be independent and confident and she adapted better when she started to attend longer hours 7am to 7pm at childcare centre. I appreciate a lot for your great programs. Your staff/teachers are very nice and experienced. The fee is very affordable and yet the quality of the programme is not compromised. I don’t have to travel to the city area because the centre is within walking distance from my house. This playgroup has many centres conveniently located at neighbourhoods. This helps me to save travelling time and transport cost. It is not easy for me to travel far with a toddler. My child is taken care by me at home. When my husband goes to work, only my child and I are at home. At playground, my child does not know how to take turns to play and just push other children away when he wants his ways. I was shocked to see this. So I let him join Star Tots Playgroup to improve his social skills. The teachers have been there at every step of the way for my son, making sure he enjoys his class everytime. Kyan had definitely learnt a lot during the class although it’s only 2 hours per day. He has been showing improvement since the day he joined. And he has become more out spoken and active as compared than before. For the past one year or so, my girl has made so much progress. She could speak little English when she first started the playgroup but now she was able to sing several nursery rhymes in English within just a couple of months. Now she converses with us in fluent English every day. Not only has she improved her language ability but also her confidence. On her graduation day, it really warmed our hearts to watch her wonderful performance in front of so many parents. I am a working mother but I prefer my child to be taken care by my mother at home. At kindergartens, they only start to take in child for Nursery class which is the year my child turns 4 years old. I realise that in terms of classroom based academic learning, other children may start earlier than my child because they are at childcare. Luckily, my neighbour recommended Star Tots Playgroup to me. It provides academic learning without the feeding of lunch, bathing and sleeping which I don’t need. At the point of entry, child must be at least 18 months and able to walk steadily. They can join up to the year they turn 3 years old. What do they learn in Playgroup? Thurs – Partial Montessori – Practical Life Skills Activities to promote fine motor skills. What is the Teacher to Student Ratio in Playgroup? According to auditor’s guidelines, the ratio is 1 teacher to 8 students. But if we have 7 children and above, there will be one lead teacher and one assistant teacher (caregiver) in the class. 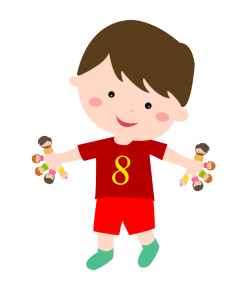 What is the maximum number of children per class in Playgroup? Are the teachers trained in early childhood? According to auditor’s guidelines, the lead teachers must be trained in early childhood. Auditors do conduct unannounced checks. Can parents accompany their children in Playgroup? During the first 3 days, if the child has separation anxiety, one adult can accompany the child. Playgroup is an independent class. Children attend class on their own. Parents send children here so that children will learn to be independent before they move on to childcare or kindergarten. Monthly Fee – Call 81383440 to find out. Note 1 – Full payment must be made upon registration. 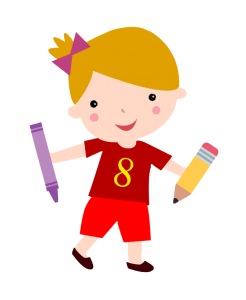 Note 2 – Same as PCF Kindergarten, no trial lesson. Note 3 – The playgroup is a one year programme. In a year, we collect monthly fees from Jan to Nov and we follow the MOE school terms & school holidays. Fees are still collected as usual during school holidays because the teachers’ payrolls are still running. Note 4 – Miscellaneous fees refer to student consumables such as paper hand towels, disinfectant, hand soap and art & craft materials, activity books. Note 5 – We do not collect deposit. Note 6 – All fees are non-refundable / non-transferable. Do you follow MOE school holiday? Can I pay using GIRO / Baby Bonus / CDA Account? No, payments can only be via cash or cheque (Post-dated cheques are NOT accepted). 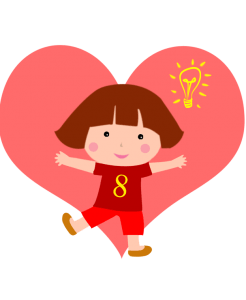 How to register in Playgroup? Please call our hotline at 81383440. Do teachers conduct health check? Yes. Everyday teachers conduct temperature check and 3 steps health check before each child comes in. Sick children will be sent home. How many months’ notice should I give if I want to withdraw my child? At least 1 month notice. Please note that fees paid are non-refundable or non-transferrable. What to bring daily in Playgroup? Children are to bring their own water bottles. For children who are wearing diapers: Please change into a new diaper before coming to playgroup. In the school bag, please put a diaper & a packet of baby wipes so that the teachers can help your child to change if he/she has defecated. For children who are toilet-trained: Please put a clean set of clothes in the school bag. This is to allow the teachers to change your child if he/she forgets to tell teachers and urinates. Please label your child’s name on the school bag and water bottle. Can I get back refund in Playgroup? No. It is stated in the Terms & Conditions that you have signed, that all fees paid are non-refundable and non-transferable to other months or other persons regardless of any reason. I am joining on the 12th of the month. Can the monthly fee be pro-rated? No, full month fee is collected regardless of which day the child joins in the month. Blk 104 Bukit Batok West Ave 6 9:30am-11:30am New Centre! *All class timings are subjected to changes. 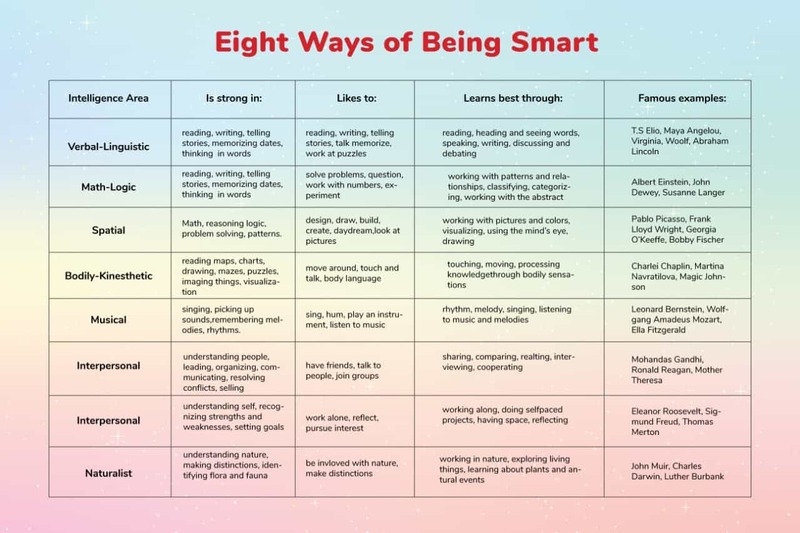 Copyright © 2019 Edufarm | All rights reserved.